This course will engage with the idea of poetry as play, exploring the joy of messing about with the shape and noise of language, and the seriously great directions this method can lead a poem. Workshops will explore a range of approaches, from the monologue to traditional forms, from the surreal to the love poem. We will draw inspiration from classical myth and from popular culture to create poems that vibrate on and off the page. Individual tutorials will be tailored closely to each participants’ needs, to ensure that whatever your experience, this is a week which will help you love and tame those pesky beasts which words are. A wonderful summer opportunity to step forward in writing and have a great deal of fun. Jonathan Edwards’ first collection, My Family and Other Superheroes (Seren, 2014), received the Costa Poetry Award and the Wales Book of the Year People’s Choice Award. It was also shortlisted for the Fenton Aldeburgh First Collection Prize. 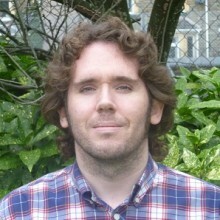 His poems have won prizes in competitions including the Ledbury Festival International Poetry Competition, the Oxford Brookes International Poetry Competition and the Cardiff International Poetry Competition, and have appeared in magazines including Poetry Review, Poetry Wales, New Welsh Review and The North. He has read his poems on BBC radio and television, recorded works for the Poetry Archive, and led workshops in schools, universities and prisons. He lives in south Wales, and works as a teacher. Patience Agbabi is a Fellow in Creative Writing at Oxford Brookes University. She read English at Oxford and has an MA in Creative Writing from Sussex. In 2004 she was nominated one of the UK’s Next Generation Poets. She’s published four poetry collections. 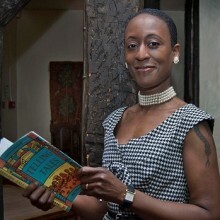 A Canterbury Laureate from 2009 to 2010, she received a Grant for the Arts to write a contemporary version of The Canterbury Tales; the resulting collection, Telling Tales (Canongate, 2014) was shortlisted for the 2014 Ted Hughes Award for New Work in Poetry and Wales Book of the Year 2015. One of her poems appeared in the anthology, The Refugee Tales (Comma Press, 2016), and she annually participates in The Refugee Tales Walk to raise awareness around asylum seekers’ issues. She was Poet-in-Residence at Brontë Parsonage in 2018 to celebrate the bicentenary of Emily Brontë. 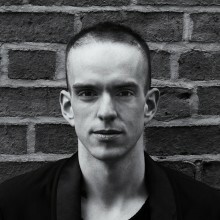 Andrew McMillan’s debut collection physical (Jonathan Cape, 2015) was the first ever poetry collection to win The Guardian First Book Award. The collection also won the Fenton Aldeburgh First Collection Prize, a Somerset Maugham Award, an Eric Gregory Award and a Northern Writers' Award. It was shortlisted for the Dylan Thomas Prize, the Costa Poetry Award, The Sunday Times Young Writer of the Year 2016, the Forward Prize for Best First Collection, the Roehampton Poetry Prize and the Polari First Book Prize. It was a Poetry Book Society Recommendation for autumn 2015. His second collection, playtime, was published in August 2018 by Jonathan Cape. He is Senior Lecturer at the Manchester Writing School at Manchester Metropolitan University.